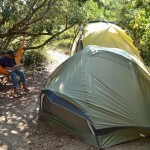 Attention all surfers and beach bums: looking to camp in the Outer Banks? 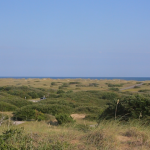 The Cape Hatteras National Seashore has four different campgrounds that are all available for your camping pleasure. We chose Frisco because it’s located right along the sand dunes – a better view than any hotel can supply.